WiiFree Easy Connect in the wild! 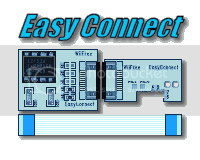 As mentioned in previous news, WiiFree Easy Connect was released. We now have it in our hands and will bring you a full review of it shortly (we need to find another Wii). 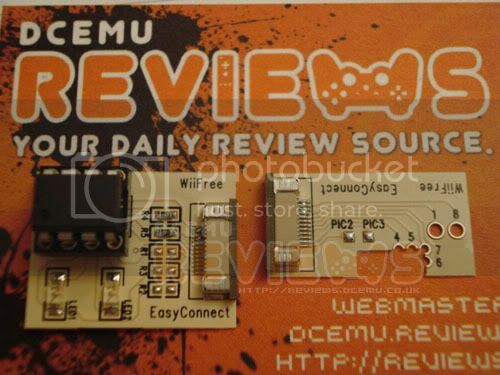 WiiFree Easy Connect is a clean and very cheap solution, which makes the installation of PIC 12F629/675/683 in your Wii console extremely fast and easy; allowing the upgrade of the WiiFree code without any problem. 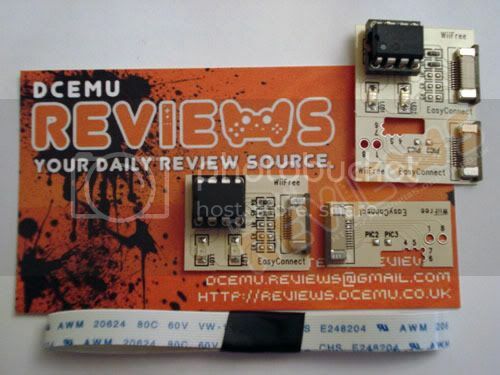 *Every PCB comes with a brand new PIC12F629 bundled with WiiFree 2.45 pre-programmed already. As you can see, WiiFree Easy Connect comes as one piece and would need to be split in half. WiiFree is sought to be the best open source modchip out there. Some modders even think that WiiFree is even better than the conventional modchips such as CycloWiz, WiiKey, Wiinja, etc. You can purchase the WiiFree Easy Connect from Divineo Italy and retails for 12.00 €. For more information on WiiFree Easy Connect, you can visit their homepage. Guests online: 460. Total online: 460.